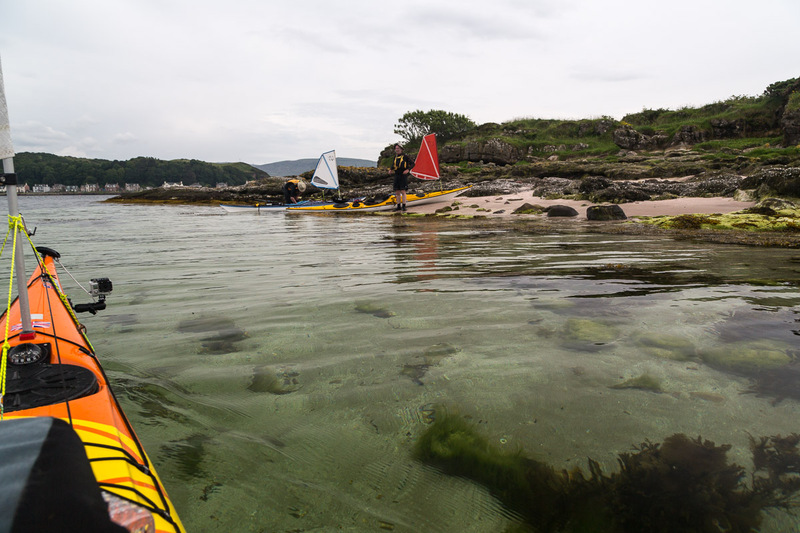 Sea kayaking with seakayakphoto.com: Windmills not millstones round our necks in an Independent Scotland. Windmills not millstones round our necks in an Independent Scotland. 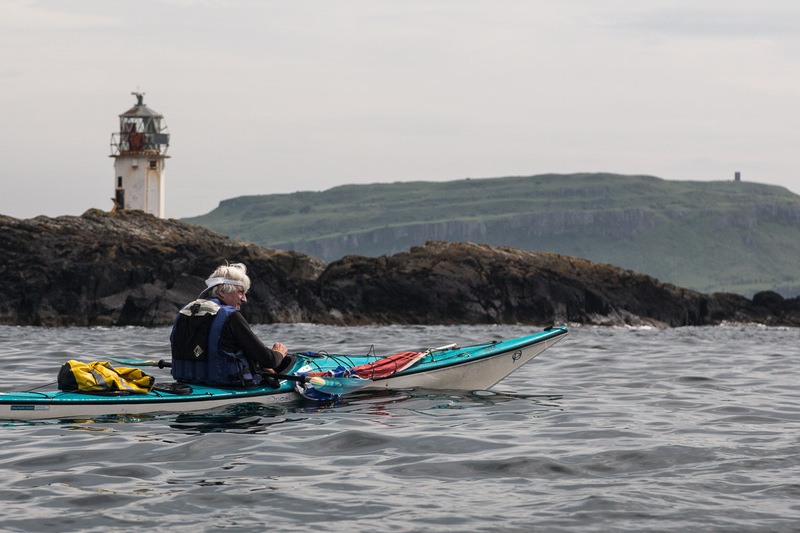 ...passed Rubh'an Eun lighthouse we met a most pleasing wind in the channel between Bute and Little Cumbrae Island. 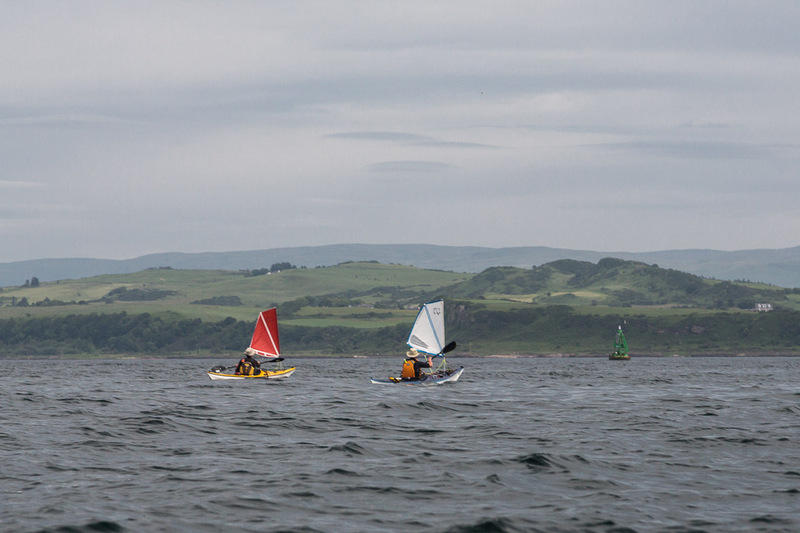 We made excellent progress past the end of the little Cumbrae beyond which the new Hunterston wind turbine could be clearly seen. 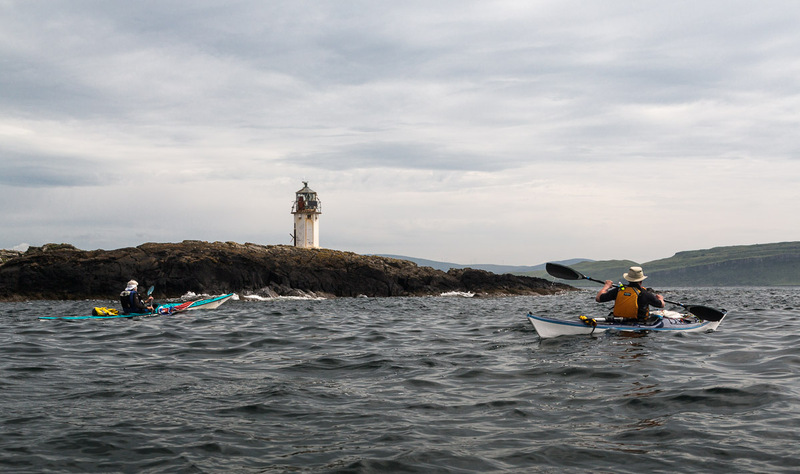 At 177m tall it is currently the biggest wind turbine in the UK. 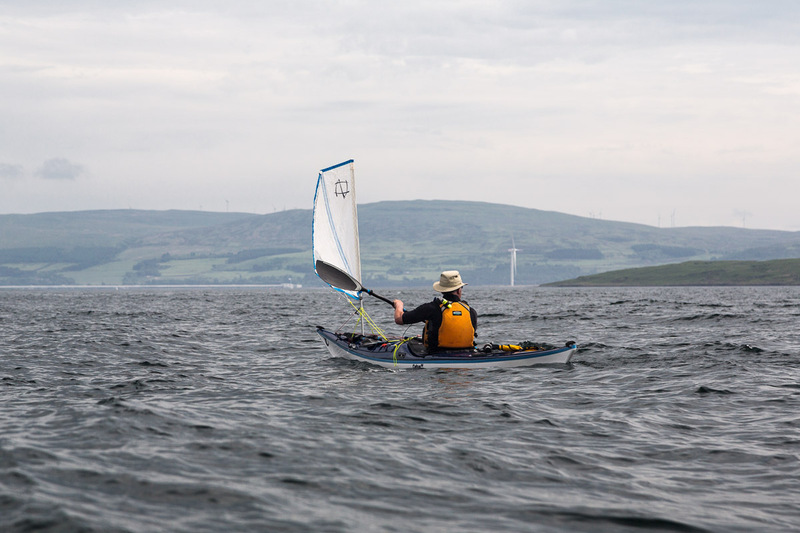 At the moment Scotland has the majority of UK wind turbines. They are heavily subsidised by all electricity customers throughout the UK. If Scotland were to vote for independence I doubt that subsidy would continue and I have not heard from the Yes Campaign how they would be funded and one possible outcome is that relatively few Scots will end up with windmills round our necks. 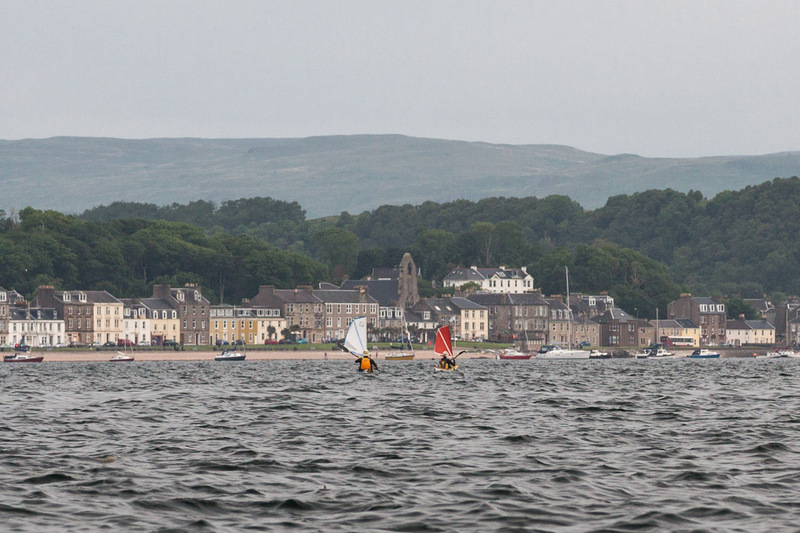 ...in the middle of Millport bay. 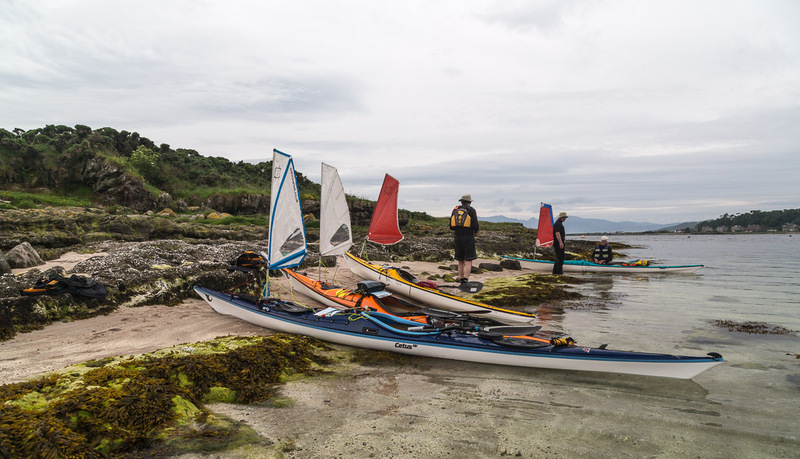 There is a lovely sandy beach (except at high tide) and it was on the sheltered side of the islands.The biz of Millport and the problems of the world seemed a million miles away.